Bright as beacons, pumpkins tell us, “it’s fall!” This year, spicy sweet lattes are in our hands long before boots are on our feet. If you love pumpkin, it seems pumpkins are everywhere. Here’s a quick guide to pumpkin things in SoIN. Fall in SoIN wouldn’t be complete without some pumpkin-flavored sweets and treats. Drive through New Albany, Clarksville, or Jeffersonville, and you’ll spot a Chiller’s or Zesto’s ice cream shop. 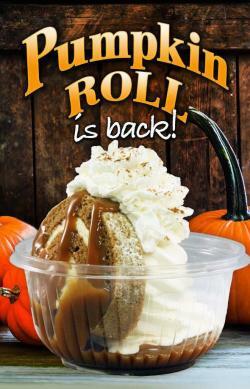 You know fall is near when they’ve rolled out their Pumpkin Roll Sundae: smooth and creamy soft-serve coupled with a sweet slice of pumpkin roll, caramel sauce, and whipped cream. 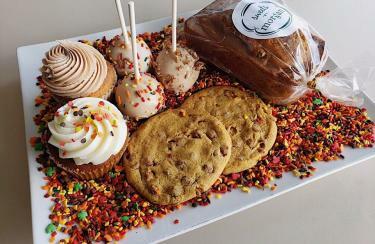 Sweets by Morgan in downtown Jeffersonville has a delectable fall menu that includes pumpkin cream cheese cupcake, pumpkin cinnamon chip cookies, and pumpkin cake pops. If you can’t choose, order all three! Other bakeries in SoIN are making scrumptious pumpkin pies, cupcakes, and breads. Adrienne and Co. Bakery & Café’s pumpkin rolls, pumpkin raisin bread, and pumpkin cheesecake are back for fall. You know what goes great with fresh-baked pumpkin goodies? Coffee! Local shops like Coffee Crossing, Pearl Street Game & Coffee House, and Starlight Coffee Co. are brewing full-steam ahead this fall. 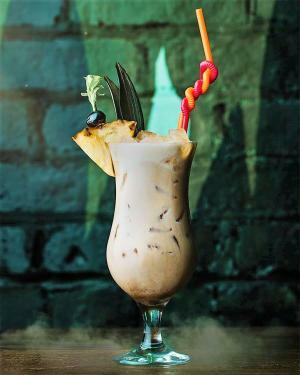 Some restaurants have created specialty drinks and cocktails with pumpkin flavors, like the Longboard&apos;s Taco & Tiki Pumpkin Colada. 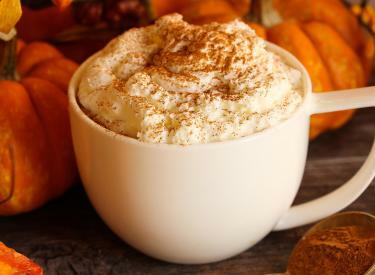 Pumpkin spice lattes and fall-flavored specialty drinks—hot or cold—add warmth and flavor to a fall day in SoIN. Harvest Homecoming returns to downtown New Albany Oct. 6-14. Getting its start as a three-day pumpkin festival 51 years ago, this year’s theme is “Pumpkin Bash.” Speaking of bash, the Purdue Pumpkin Chunking Competition is a fun event to watch. 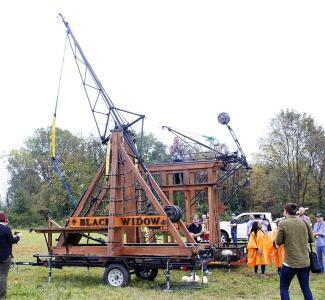 Teams build a trébuchet machine (catapult) to propel pumpkins skyward. Awards are given for accuracy, originality, and efficiency. 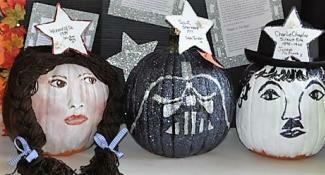 If crafts are more your style, decorate a pumpkin or make one and enter it in the Pumpkin Decorating Contest. It’s Harvest Homecoming’s oldest event. Top off your harvest-fun with a scoop of pumpkin ice cream from the Pilot Club booth, found on the corner of Pearl and Market Streets. Huber’s Orchard, Winery and Vineyards’ pumpkin and pumpkin nut ice cream flavors are back for fall. Pumpkin bread, muffins, pies, and donuts are seasonal favorites available at its bakery. 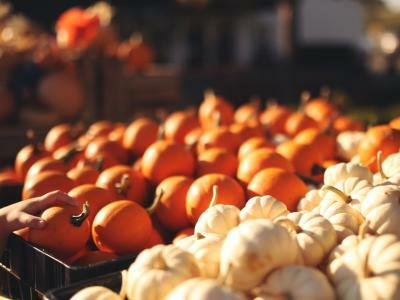 For pumpkins in a variety of colors and sizes, visit the farm market or ride a wagon to pick your own. Joe Huber’s Family Farm and Restaurant’s U-pick pumpkins are only 50 cents per pound. 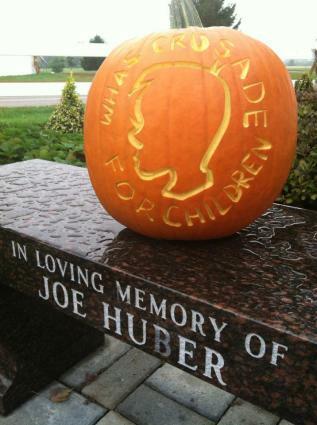 Proceeds from pumpkins sold always benefit the local WHAS Crusade for Children charity. After pampering yourself at Strandz Salon, visit its adjacent Threadz Boutique to spice-up your home and wardrobe. 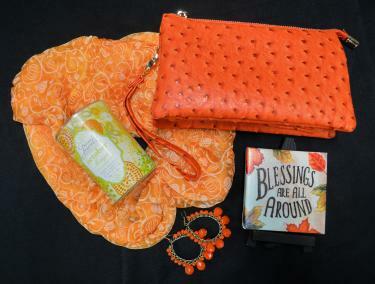 They have a variety of pumpkin-color accessories for women and the home. From scarves, clutches, and earrings, to candles and wall décor, you’ll be ready for fall! Wimsatt Soap Company (formerly inside Blessings on Spring) has a fall selection of pumpkin bath and beauty products that look as good as they smell. 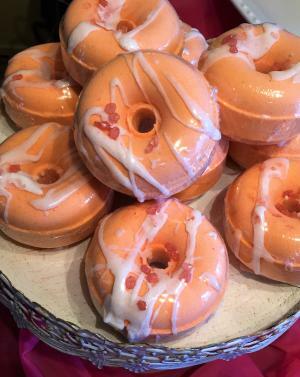 The pumpkin walnut biscotti bath bomb donut smells like a freshly-baked Italian biscotti and looks edible with drizzles of cocoa butter and pink Himalayan salt sprinkles. 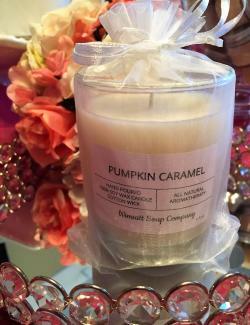 The pumpkin caramel candle has a warm aroma of pumpkin, spices, sweet cream, and orange peel. You can find these and other products at Wimsatt Soap Company’s booth at Harvest Homecoming during Oct. 11-14. If you have a favorite pumpkin theme that wasn’t included, let us know! We’ll continue to add ways to enjoy pumpkins in SoIN. For pumpkin and fall décor and Halloween costumes, visit SoIN’s Horner Novelty. For more pumpkin-spice goodies, find other SoIN bakeries. Looking for ways to enjoy fall in SoIN? Visit our Fall Foliage and Fun page.